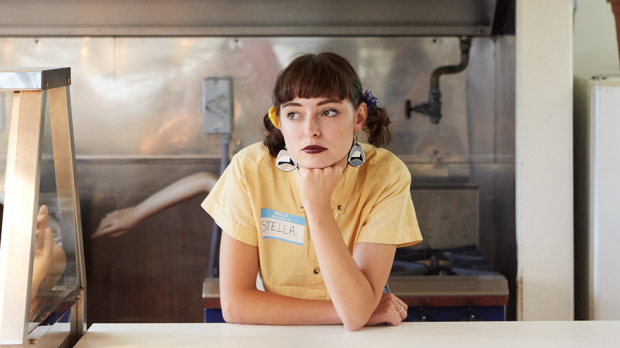 Stella Donnelly has been on the road almost non-stop since September last year; in her wake, an impressive tour including acclaimed Texan festival SXSW, BIGSOUND in Brisbane (where she took out the Levi’s Music Prize), and a string of other shows both overseas and at home. Now, she is set to embark on another Australian odyssey with fellow folk songwriter Alex the Astronaut. In WA, the pair will bring their complementary sets to the Fremantle Arts Centre on Friday, April 20. JESS COCKERILL caught up with Donnelly to talk about striking a balance between making it big, playing in other bands, how her menstrual cycle affects her favourite songs, and continuing to champion the message of social justice that’s at the heart of her songwriting. It’s been such a busy year for you, have you been able to do any creative work in amongst all this travel? I’ve been writing on the road which has been really nice. I was worried I would lose that creativity or something, or that I’d be too dried up to still write, but if anything writing has been a big escape for me. I just record them on my phone to keep track of them. But honestly, [the touring] has not stopped since probably September last year. I’m keeping on going till June, when I’ve got some time off to record the album. It’s definitely still in beta mode, I haven’t had the time to get it finished, or even get it properly started. When I get back, that’ll be my time. This one will be different from Thrush Metal in that the songs’ll have a bit more instrumentation around them, but still similar in that the lyrics are the main thing, and it kinda tells stories. The main priority is that it sounds like me and that it’s a story. It’s coming up to a year since you released Thrush Metal, you must’ve played all those songs a million times now. Are you feeling a bit over it, or are you still vibing that record? I definitely go through phases of being over a song and then liking it again. I feel like as a woman with a menstrual cycle, I can draw parallels with where I am in my cycle… the week before I get my period, I’ll be a bit more emotional and angry. Mechanical Bull and Boys Will Be Boys, I feel a lot more when I play them, and the other [songs] seem more meaningless. But then on weeks when I’m ovulating, the sweet songs, the love songs, I really feel them the most, and I don’t resonate as much with the angry ones. It’s really weird, it’s period power. I’m learning about it at the moment, I’m looking into how it affects my gigs and my songs and stuff. People who have menstrual cycles, I think sometimes we’re expected to perform in the same way each time, and expected to be this linear character, which doesn’t fit with the reality. Has it been tough to be on the move and performing for these long stretches? I’ve had tough weeks, for sure. Sometimes it’s even when I’m home, about to go again, that I get anxiety about touring… but it does get a lot easier the more you do it and the better you pack. I’m very honest with my manager about needing time on my own, and trying to do yoga, and not eating crap all the time. I put a banana on my rider, so there’s always a banana around… I’m learning little tricks along the way, things I need to do for myself to make it work. Have you been able to keep up with your other musical projects since your solo career has taken off? Or has it taken a toll on them? I’m only in one other band now, Bells Rapids, and the girls are so good. All four of us have our own projects, but we’re slowly finishing off an EP we’ve been working on for a while now. The girls understand that when I’m home I can do it, but we might not follow the same trajectory as other bands, because of how busy we all are. We’re hoping to maybe play in June or July, when I’m back. So, what happened with Boat Show? It all just got a little bit too much, and I felt like I didn’t resonate as much with the overall feeling in the band, so I left in October last year. Since then, a lot of the other band members have left as well. It all got so busy, and Boat Show were doing so well, so it seemed unfair if I couldn’t be there, and just easier that I took myself out of that situation. Your songs and your message as a performer is centred around social justice, and in particular issues that face women. Since you started out, do you feel like the conversation around those topics has shifted? I wrote Boys Will Be Boys almost two and a half years ago now, and I’ve been performing it for that long. The responses I would get from back then, to the responses I get now from certain men, have really changed. I still get a lot of abuse, denial of the fact that sexual assault happens, that violence against women happens, and people trying to completely dismiss anything I say because I am a woman. But I see as a whole that I’ve been getting so much support, from men as well, for that song… there’s way more awareness, and accountability on men, and on everybody. I’m not trying to speak for all women, but if if my song can be one tiny little minuscule piece of that puzzle, in helping people understand what women go through, that’s such an honour to me. What do you think still needs doing, in Perth in particular? I feel like with line ups that are all cis white men, it’s always women that have to send the message to that band, and be like: “what are you doing?”, rather than guys knowing it’s the wrong thing to do. It’s getting better: the men around me in my life are working really hard to take the load off us. I also think acknowledgement of Indigenous Australians and traditions in Perth has a long way to go, it’s just ignorance. I’m ignorant myself, I’m a privileged white girl, and I think it’s important that we try to open our eyes to groups that our media and our society doesn’t listen to. I say that with absolute respect and sensitivity, that I don’t even know the extent. I think we all just need to listen more, on a local level. How did you tee up this joint tour with Alex the Astronaut? I met Alex at Bigsound last year, and she’s really down to earth, really nice… We both play solo, and we found that a lot of people who listen to Alex also listen to my music, so it’s a good two-for-one deal. We’re definitely gonna do some songs together, which will be really nice.